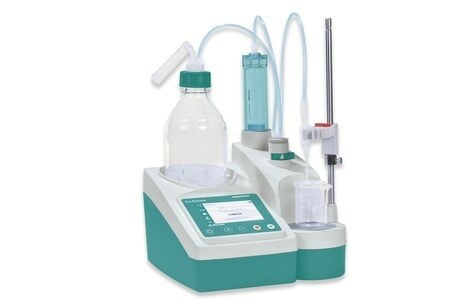 The Eco Dosimat is a dispensing unit with built-in magnetic stirrer and touch display for universal use. Increase your efficiency and precision for classic laboratory tasks such as the precise dosing of any volume. the preparation of ion standards. controlled dosing with specified dosing rate. A report in accordance with GLP can be stored as a PDF or printed out for all of the activities listed. Including push-button cable for manual titration and dispensing control. Freely selectable cylinder unit with 5, 10, 20, and 50 mL.